Laws regarding Marijuana in the Workplace are changing. Learn how companies are responding. Majority of questions in regards to marijuana in the workplace can be answered by a single document, the company policy. The company policy will typically state, the types of drug tests, the frequency of testing and the consequences of a positive test. If your company has a policy in place, then your employees will be able to obtain the knowledge on your drug testing program and you will acquire the right to test your employees. Ultimately, it is up to you if drug testing will be required and furthermore, what substances you will not tolerate. Considering the wide spread push of acceptance for marijuana, there is much confusion as to its place in the workforce. Twenty-six states have legalized the use of marijuana in either medical or recreational form. 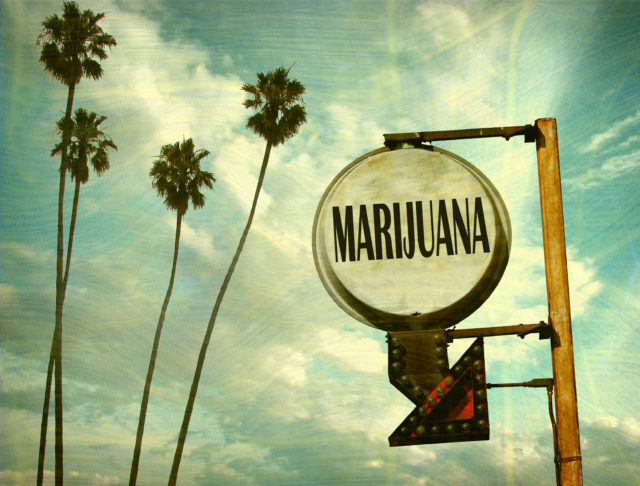 Most recently, California, Massachusetts and Nevada all passed measures legalizing the recreational use of marijuana. Currently, medicinal marijuana has had more success being legalized than recreational marijuana but no one is able to foresee the future of its place in America’s workplace. Currently, the main determinant with marijuana in the workplace is entirely dependent on the company policy. That means, with the proper policy in place, although marijuana is legal within your state, you do not have to permit its use within your company. In contrast, depending on your current state laws, you can choose to allow the use of marijuana entirely or you can solely allow authorized medicinal use. California’s Prop 64 for example, clearly states that, employers can test their workers for marijuana prior to hiring them, or at any level of frequency throughout their employment. And if workers test positive, the company policy can allow the employer to fire them, even if there’s no proof that they were high on the job. To paint an even clearer picture of how a company’s policy reigns over states legalization of marijuana, reference the Colorado case involving Brandon Coats. Brandon Coats was a quadriplegic who lost his job from DISH Network over the use of medicinal marijuana. With medical marijuana, you must prove to have an eligible condition and receive authorization from a doctor. Coats had authorization to smoke medical marijuana and stated that, “he never used the drug, or was under its influence at work”. However, DISH Network established a zero-drug tolerance policy and therefore internalized Coats positive tests results as an indefinite reason to fire him. Cannabis is unique in the sense that it stores in your fat cells after consumption. For this reason, even after the mind debilitating effects wear off, tests will turn up positive for the substances days, weeks, and even months after the initial use. This makes for subjective decision making when employers and law enforcement are determining whether an individual is high in the present or from the previous week. This hazy area leads many employers to ban the use of cannabis all together, and considering, “Marijuana is the most commonly used illicit drug in the United States, per the 2014 National Survey on Drug Use and Health”, it proves to be a problematic issue. Different industries have different outlooks on what should and should not be tolerated in the workplace. Construction company employees for example, are exposed to danger in the workplace every day. When you look at statistics from 2011, out of the 4,114 private industry fatalities that occurred, 17.5% of them were in construction” (OSHA, Constructions Fatal Four). An industry such as this cannot afford to be tolerant of substances that could put employees in danger. Additionally, since there’s no way to detect when an individual is under the influence it makes regulating cannabis use nearly impossible. It is always better to be safe than sorry. To avoid any confusion, it is imperative for both the employer and employee to be on the same page. Employers must have a clear and concise Drug Testing Policy and employees need to have an understanding and acceptance of that policy. Taking all of this information into consideration the following questions can be answered. Can I require my employees to take a drug test if stated in the company policy? Yes. Can I ban the use of marijuana if stated in the company policy, even though its legal in my state? Yes. Can I ban the use of medicinal marijuana for employees that have been authorized a medical prescription if stated in the company policy? Yes. The good news is that there are Third Party Administrator company’s out there that can help. A company like Origin can create your ideal company policy and manage all your workforce verification needs. From company policies to drug tests, Origin can manage these services and more through one dedicated platform.